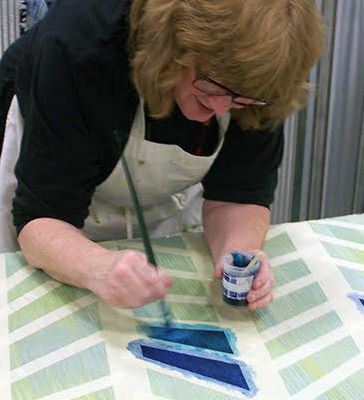 Students will learn to use Lanaset (acid) dyes to permanently color commercially woven silk cloth. Immersion (fold, clamp, resist) and surface design (mask, stencil, stamp) techniques will be sampled. Emphasis is on the process rather than a particular product, with an intuitive, nontechnical approach. Information will be shared via discussion and handouts so students may continue to work at home.